Bell+Howell — Elite Brands Inc.
Bell+Howell was founded in 1907 by two projectionists, Donald J. Bell and Albert S. Howell. What made the company universally recognized was its development of equipment that addressed the two most important problems plaguing the movie industry at the time: flickering and standardization. By manufacturing and servicing equipment solely in the 35mm size, Bell and Howell set the standard for the entire motion picture industry. In 1951, Bell and Howell was awarded its first Oscar by the Academy of Motion Picture Arts and Sciences for technical achievement. The company began in the forefront of the motion picture technology industry and has since evolved into a mega-leader in the electronics industry. Today, Bell+Howell is one of the leading suppliers of equipment and services for information-related services and products. Since 2000, the electronics and accessories portion of the business has experienced the most significant growth which has been fueled by many successful brand extensions. 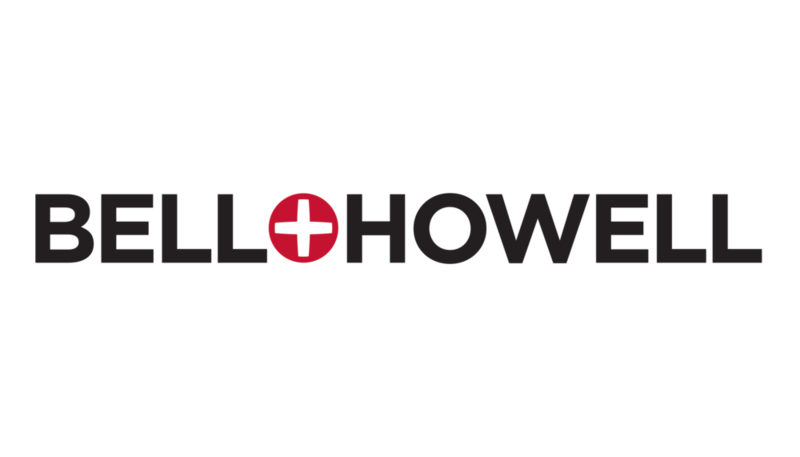 Bell+Howell is also one of the oldest and most well-established electronic brands in the US today and continues to be on the forefront of innovation. BELL+HOWELL is a registered trademark of BHH LLC and is used in the United States by Elite Brands Inc. under license.